A friend recently introduced me to a new word; tsundoku. It is a condition in which the sufferer feels a strong need to buy more books than they can possibly read. This can also be linked to a fear of running out of good books. While I may be in slight denial about the first part, because I intend to read every book I buy, the second part is certainly true of me. I have over 40 books on my to-be-read shelf* and yet still worry that I may run out of good books to read. This fear was reinforced when I was done to about 8 books earlier in the year, most of which I had started to read and put back down but not read enough to know if I needed to get rid of it or not. The result was a frustrating few weeks of non-fiction books which seem impossibly longer than they really are because of the lack of plot. Image credit: Evan Bench, Flickr, via Creative Commons. I imagine the room echoing with replies of ‘Hi Jenni.’ And lots of heads nodding as I recount my tale of will-power against the written word. There would be applause and perhaps a reassuring pat from a sponsor to tell me that I’m doing the right thing. But this group needs more voices. 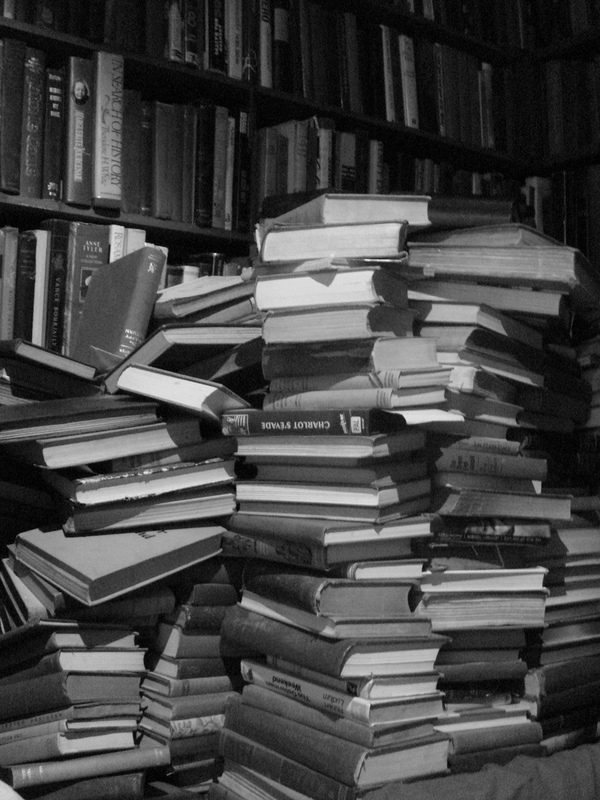 If anyone would like to share their stories about tsundoku, this is a safe space, please, stand up and share your stories. We’ve all been there before and are stronger together. *I feel the need to point out that this number is definitely higher than normal as recent holidays severely bolstered my stash.